This fabulous & classy bride jewelry made with Swarovski Ivory pearl with rhinestones in silver plating is absolutely stunning. The necklace earrings adds the same luscious brilliance to your appearance. 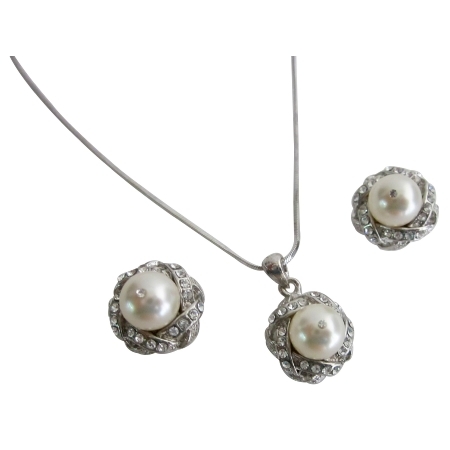 Material Used : Necklace 10mm pearl Pendant & Earrings genuine Swarovski Ivory Pearl surrounded with rhinestones sparkle like real diamond.